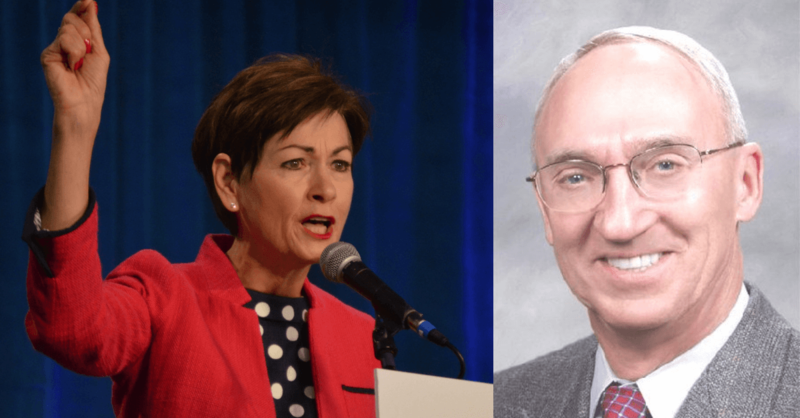 Iowa Governor Kim Reynolds received $50,000 in a campaign contribution from Rex Sinquefield, a wealthy Missouri Republican who has waged an all-out war against that state’s public pension system. 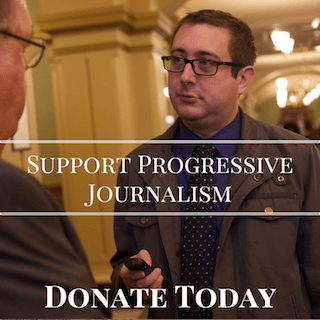 The Reynolds donation was the only contribution to an Iowa candidate Sinquefield has ever made, and only six individuals in total have given more than $50,000 to Reynolds. That large donation could take on extra scrutiny as Reynolds tries to fight back against growing concerns that she would drastically restructure Iowa’s IPERS system. 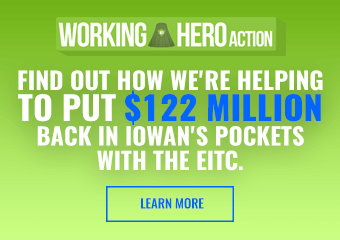 In recent days, she and other state Republicans have insisted they will not make any changes for the current Iowans who paid in to IPERS and are receiving benefits. However, Reynolds has notably refused to rule out restructuring the system for future public employees, even as recently as yesterday. She called IPERS “not sustainable” in 2017 and backed bringing in a conservative think tank that supports hybrid pension systems to study IPERS. Sinquefield, a former director of Dimension Fund Advisors who made a fortune on index funds, bankrolled many top Missouri Republicans’ campaigns in recent years. One of his top policy priorities was privatizing the state’s public pension plan. His former private investing industry stands to gain if public pensions get shifted to the private marketplace. Sinquefield ran a conservative think tank called the Show-Me Institute. It proposed a litany of very conservative plans to cut state revenue and dismantle benefits programs. But the plank that advocated to “Move Missouri’s Public School Retirement System (PSRS) to a defined-contribution system” proved so controversial that it drew sharp blowback from teachers’ organizations. Sinquefield ended up having to resign his board position with Dimension Fund Advisors after the political fallout. Teacher groups in Missouri noted that even if changes to the pension system were limited to future employees, it would eventually bankrupt the system for those still receiving benefits. Democrats in Iowa are sounding the same type of alarm to Reynolds’ possible changes to IPERS. The question now for Reynolds is why exactly a Missouri Republican felt the need to invest so much money into one specific Iowa race. Is it because Sinquefield believe Reynolds would take the same approach to restructuring Iowa’s public pension system as he tried to do in Missouri? no matter what the sphere, privatization means bankruptcy. I don’t understand why Republicans hate public employees, but the history of their actions tells the tale. Iowans, UNITE! VOTE! VOTE! VOTE! it’s your chance at participation in our Democratic Republic. Wow. Just when you think it can’t get worse, Reynolds and cohorts double down. Collective bargaining crippled, wages rolled back – retirement plans (including IPERS) in grave danger. heady stuff, there! Ms Stroeve above is right. We MUST vote – and vote these idiots out! Is anyone contacting retired teachers etc. with this fear? I know a few who are very conservative, but I think they would be very unhappy to see these changes. Scarier to me are the thousands(millions?) of unseen, unreported dollars flowing into red campaigns. Dark money is a bane to democracy. 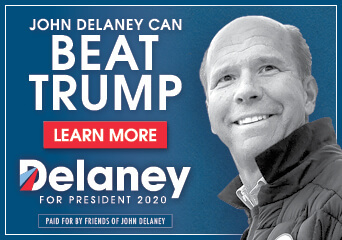 Campaign finance reform is The top priority. Republicans rush to privatize services for many reasons, often at the expense of devoted public employees. They privatized Medicaid and the main beneficiaries are the insurance companies. They are privatizing the prison system across the United States. Many of these services are unionized employees. By privatizing the services they decimate the ranks of the unions who often vote Democratic. They also secure a firm financial base of executives of these privatized companies to give to Republican candidates. If they can vilify the public sector employees that is an added rallying point for the Republican base. Follow the money trail and question the reasons Republicans give for privatization. Pat – the term “not sustainable” has Ben and is being used without any pushback for specifics and details. It was used to justify the privatization of Iowa’s healthcare system. It si being used to now go after the IPERS system. We need to have that term challenged for exactly what “not sustainable” means with data and details. Hopefully our free press (for as along as it is free) would start doing that.